Mahindra & Mahindra is developing a small SUV codenamed S101 which will likely be launched in 2014 priced around Rs 3-4 lakhs. “Work on a new platform should be concluded very soon and it will be on the compact side,” a spokesperson of M&M, was quoted as saying by the Economic Times. He also said that the project is at the styling and customer research stage and techno-commercial viability has to be established. Photo: Mahindra's latest success story. 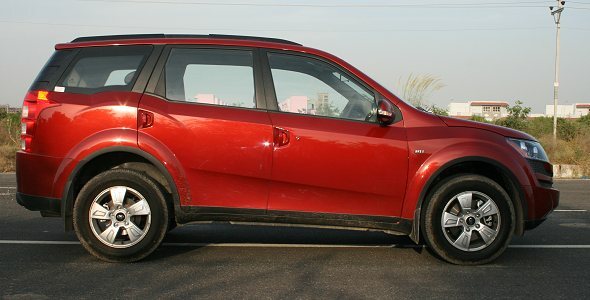 Will we see the XUV500's design lines on the mini-SUV? It is expected that the S101 small SUV would look similar to the Maruti Suzuki Gypsy, which has been in India for almost three decades. The S101 will be built on a monocoque body (like Mahindra’s newly launched XUV 500) and will measure below 4 meters in length in order to benefit from the Government’s excise duty sops for small cars (under 4 meters in length). The monocoque chassis will be light, yet rigid and can be relatively safer than the regular body-on-frame construction. Also, the mileage that the S101 will offer will have to be good in order to attract buyers in the budget-car segment. Will the S101 deliver better than hatchbacks? Urban drivability, ease of getting into the vehicle and luggage space of the S101 is expected to be at a par with B-segment cars such as the Wagon R and i10. However, being an SUV, we expect the ground clearance of the S101 to be the higher than most hatchbacks. What are the expectations in terms of features and accessories? The S101 is expected to come with AC, power steering, power windows, music system, central locking, multi-information display, dual trip meter and tachometer, which are the basic levels of equipment for cars in its class. What will be the price of S101? The S101 will most likely be priced in the Rs. 3 – 4 lakh range making it attractive for buyers who would be looking to buy Maruti Suzuki Alto K10, Hyundai Eon, Maruti Suzuki Wagon R, Estilo and Chevrolet Spark. It makes less sense if the S101 is priced above 4 – 4.5 lakh as it may penetrate into the mini Xylo territory which the company is planning to launch by the end of this year. What we expect from the S101? Mahindra is the largest utility vehicle maker in India and has earned a good reputation among SUV buyers in the country. The company will have to capitalize on its brand reputation and its expertise in utility vehicle manufacturing in order to deliver the S101 at a low-cost. The S101 may also urge other manufacturers to make small SUVs to take on the S101. Above all, once the S101 is launched buyers who look for cars in the Rs. 4 lakh category would have an interesting option to choose from. « Biggest cash discounts in October 2011—how about Rs. 1.5 lakh off?